Roman Reigns is an American professional wrestler former professional Canadian football player. He is currently signed to WWE. Where he performs under the ring name Roman Reigns and is the current WWE World Heavyweight Champion in his second reign. He then played a full season for the Canadian Football League's Edmonton Eskimos in 2008 before his release and retirement from football. 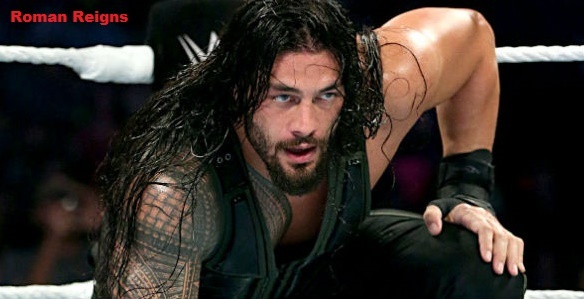 Roman Reigns then pursued a career in professional wrestling and he was signed by WWE in 2010. He reporting to their developmental territory Florida Championship Wrestling. Using the ring name Roman Reigns. He made his main roster debut in November 2012 alongside Seth Rollins and Dean Ambrose as the Shield. Reigns is a two-time WWE World Heavyweight Champion, a one-time WWE Tag Team Champion the 2015 Royal Rumble winner and the 2014 Superstar of the Year. He also tied the WWE record for most eliminations in a Survivor Series elimination match with four in 2013. And set the record for most eliminations in a Royal Rumble match with 12 in 2014. While in NXT in 2012 Roman Reigns character was a businessman who was always dressed to impress and viewed himself as the most valuable commodity in WWE. After transferring to WWE main roster his character was changed to the powerhouse and heavy hitter of the Shield as well as an exceptional athlete. Noted as the least talkative of the Shield members in mid 2013 Reigns character was tweaked from the quiet muscle to being an ultra-confident source of leadership with quiet strength and only needing a few words to make his point. CM Punk revealed that he was constantly reminded to make Reigns look really really strong during his match with the Shield at the December 2013 TLC event despite the Shield being scripted to lose. Reigns was voted the 2013 Most Improved by Wrestling Observer Newsletter. A major sign for a future push for Reigns came during the 2014 Royal Rumble where he broke the record for most eliminations and finished as the runner-up. Reigns was cheered by the crowd in attendance despite having been a villainous character for more than a year. Anoa'i later acknowledged the positive crowd reaction as a cool situation and a surreal moment. In mid 2014 Stone Cold Steve Austin said that he saw great potential in Reigns while David Shoemaker of Grant land wrote that Reigns had mystery and intensity as well as superstar written all over him. The Miz speculated that the backlash against Reigns was due to fans wanting to cheer someone who was made by the fans as opposed to someone pushed by the system. At the 2015 Royal Rumble Reigns was booed heavily after his victory despite portraying a heroic character and being endorsed by The Rock. WWE was also criticized by TV.com staff for having Daniel Bryan and Paul Heyman endorse Reigns after Fastlane with two shockingly transparent promos... attempting to illustrate Reigns greatness. Dave Meltzer was asked if there had been anyone less over than Reigns while main evening Wrestle Mania. Meltzer answered No there has never been. WWE reportedly confiscated a number of anti-Reigns fan signs both pre and post-Wrestle Mania 31. At Wrestle Mania 31 Pro Wrestling Torch described Reigns as receiving universal boos and middle fingers as well as noting that Reigns needed security for his entrance through the crowd. The Wrestle Mania main event match between Reigns and Brock Lenard was well received by professional wrestling media outlets such as Pro Wrestling Torch and the Canadian Online Explorer and the event itself was reported to be the highest grossing WWE event in company history. On the post Wrestle Mania Raw. Reigns was booed by fans throughout his main event six-man tag team match even though he failed to win the championship the night before and still portraying a face character. In November 2015 Forbes wrote that WWE continues to manufacture Reigns as a hard luck underdog chasing the world title. At the 2015 Survivor Series event Reigns received mixed reactions from the crowd on his way to winning and losing his first WWE World Heavyweight Championship. In December a Pro Wrestling Dot Net writer weighed in on why some fans were not getting behind Reigns saying he comes across as sulky entitled and condescending. Also in December a Rolling Stone writer argued that WWE writers spent an overwhelming amount of time on Reigns at the expense of almost everyone else on the roster. However at the Raw after TLC Reigns got a pop after winning his second world title. The Wrestling Observer then complimented WWE booking of TLC and the following Raw saying they pressed the right buttons with Reigns when he beat up two of biggest targets.